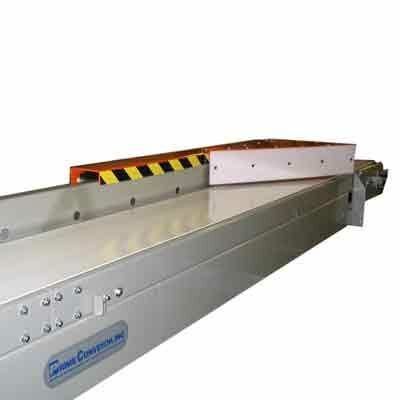 Diverters move product from one conveyor to another, but unlike pushers, diverters move products continually until they are reset. Manufactured in a variety of styles to suit specific applications, diverters are available in pivoting and movable designs. Diverters are also available with powered faces to help move heavier products.